Home / Calendar	/ Come & taste grill steak flavors at the Prague Marriott Hotel during Sunday Brunch, on April 17th! 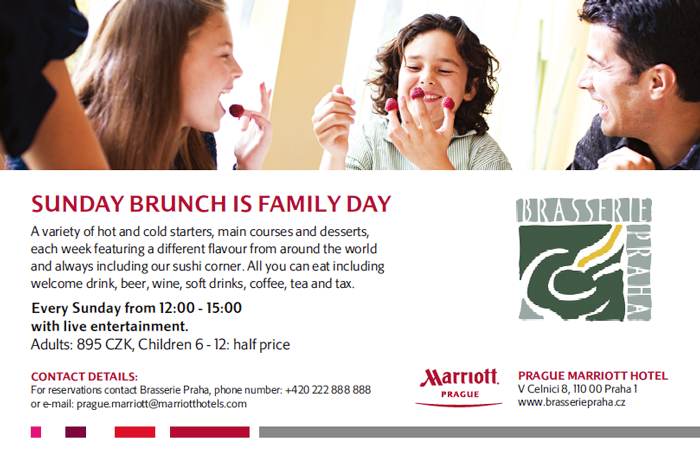 Come & taste grill steak flavors at the Prague Marriott Hotel during Sunday Brunch, on April 17th! Come and enjoy Grill steak flavors within our "Travel across the world" theme. Live piano music during the brunch and free parking in hotel garage for brunch guests / 12:00 - 15:30.